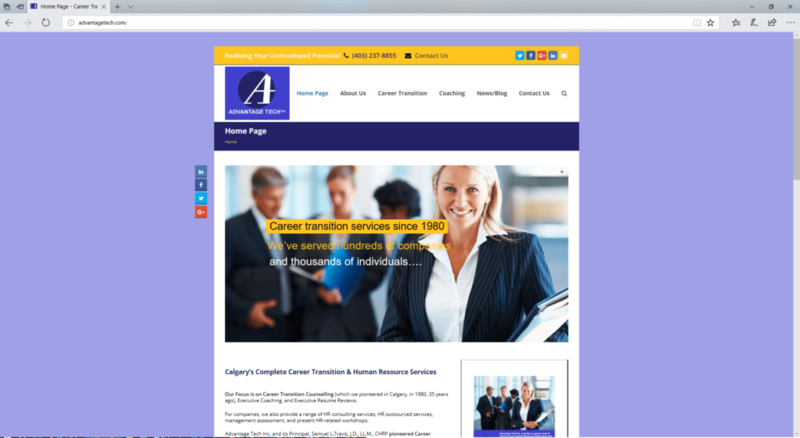 Advantage Tech’s Focus is on Career Transition Counselling (which we pioneered in Calgary, in 1980, 35 years ago), Executive Coaching, and Executive Resume Reviews. For companies, they also provide a range of HR consulting services, HR outsourced services, management assessment, and present HR-related workshops. Advantage Tech Inc. and its Principal, Samuel L.Travis, J.D., LL.M., CHRP pioneered Career Transtion Counselling services in Calgary. Originally, to the Oil & Gas sector and, subsequently, to a wide variety of industries and government entities. Advantage Tech Inc. is headquartered in Calgary, and with affiliates and associates with offices in Vancouver and Toronto, as well as around the USA and Mexico. 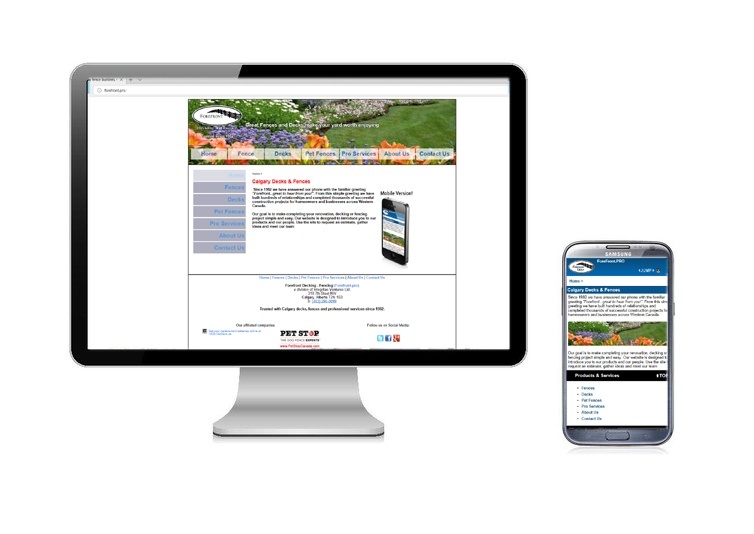 We have managed their website and their Social Media since 1999.